Today WhatsApp quietly released an update which added support for an Olympic Rings emoji on iOS and Android. Just in time for the Rio 2016 Olympic Games, this new emoji appears in the latest update for all users. Interestingly, the release notes only notes the presence of larger emojis and no mention of this addition. Above: No mention of this emoji in the release notes for WhatsApp 2.16.7. Given how seriously the licensing for this symbol is taken by the International Olympic Committee, it's fair to assume that this logo was included as part of a sponsorship or other commercial arrangement. WhatsApp for Android includes a custom keyboard for emoji, which means additions like this can be shown. Sending the Olympic Rings emoji works across all versions of WhatsApp. How? The magic of Emoji ZWJ Sequences. The new Olympic Rings emoji is not a sticker or non-Unicode implementation. It uses the now tried-and-tested method of creating an Emoji ZWJ Sequence to render a new character. 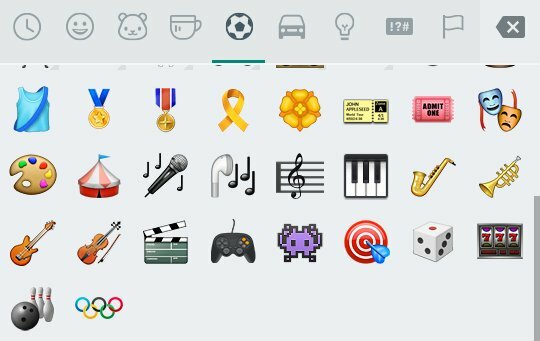 Above: Olympic Rings emoji does not show outside of WhatsApp. Shown here in Notes for iOS. WhatsApp differs from most apps in that it shows the Apple emoji images on all platforms, eschewing the platform native characters on the various Android flavors and Windows Phone. 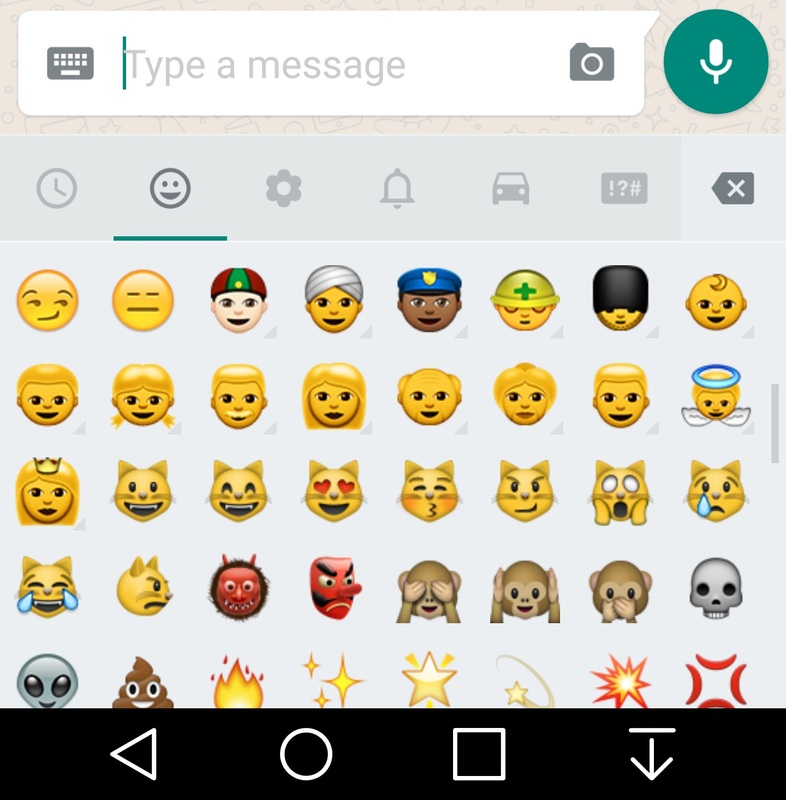 Above: WhatsApp for Android showing Apple emojis on the built-in emoji keyboard. This is sometimes considered a benefit by users - who see Apple's emoji images as the most recognisable - but is certainly a change from how other apps behave. In this instance, the Olympic Ring emoji has nothing to do with Apple, and is not copied from Apple's Color Emoji font on iOS. WhatsApp has a history of clever ways to support emojis that aren't yet on other platforms. WhatsApp used the regional indicator pair XE for this flag as a workaround. Codes starting with X are reserved for exceptions, sort of like a 'private use area' for countries. Kosovo has one of these (XK), and presumably the "E" is for England. In mid-2015, WhatsApp was the only platform with access to the middle finger emoji, approved in mid-2014. Above: WhatsApp version of the middle finger emoji. Apple included support for this emoji in iOS 9.1 in October 2015. WhatsApp updated its app to use the Apple middle finger emoji soon after on iOS, but WhatsApp for Android still uses the custom middle finger image. No other platform supports the Olympic Rings Emoji at present, outside of WhatsApp. Images such as company logos, or those showing company brands as part or all of the image, or images of products strongly associated with a particular brand. Emoji ZWJ Sequences are not held to the same standards at present, as they do not require approval from Unicode to be rolled out on one platform. The 👁‍🗨 Eye in Speech Bubble suggests that if other companies had a commercial arrangement for including the Olympic Rings emoji, it may be possible. My tip: expect to see more Emoji ZWJ Sequences from specific platforms in future.